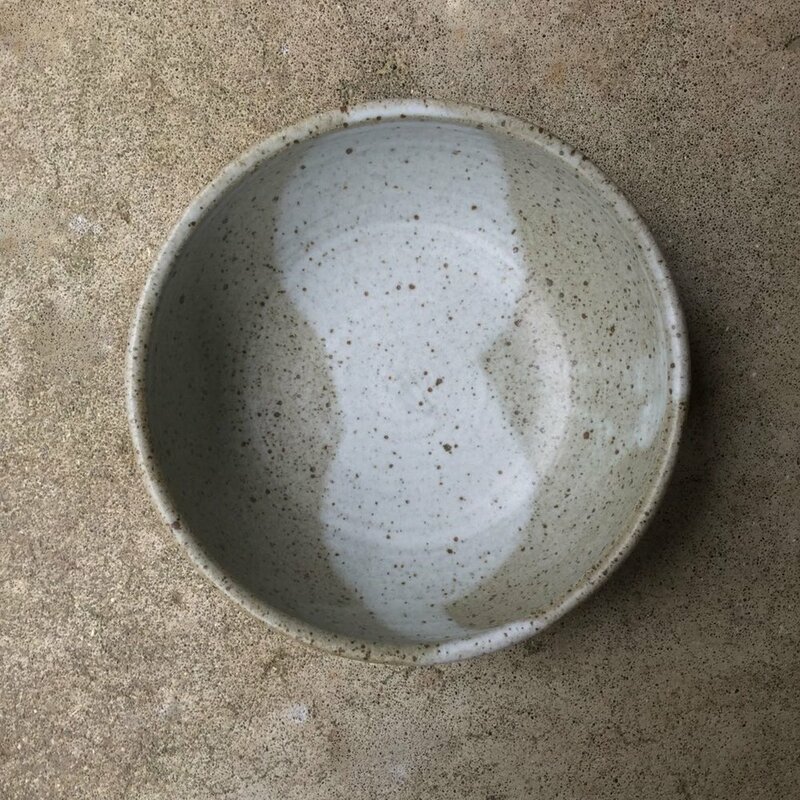 A deep-sided bowl that would be great for a salad-as-a-meal, or for serving a side dish. A little over 8” wide and 3.25” deep. Glazed in matte speckled grey with a swath of foggy white. Horizontal grooves on the side of the bowl are a handsome reminder of its wheel-thrown origin. Dishwasher and microwave safe. Hand thrown in California.